It features rounded corners to resist breakage, 11 card slots, double currency pockets, slip pockets for important papers and receipts. Offers style and organization in your front pocket with its clean silhouette and rounded corners that resist breakage. The Voyager Breast Secretary Wallet is made from hand stained vegetable re-tanned Buffalo leather. Pack your toiletries and grooming essentials for a night away from home inside this small travel bag. 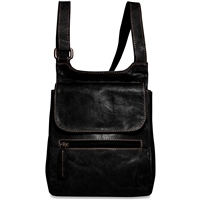 Travel around town with your hands free and your must have items stashed inside this trendy crossbody bag. Keep your travel necessities together and organized with the Voyager Large Dopp Kit. It makes a great cross body or shoulder bag for every day use. This tie case will organize your ties, bow ties, cuff links, and collar stays when you're a sharp dresser on the go. 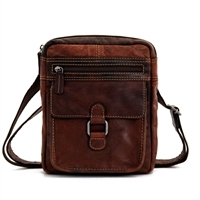 This Sling Bag is great for carrying your must-have essentials while you're on the go. This bag is a classy way of transporting your favorite wines for a dinner engagement or that special occasion. What better way to carry your champagne bottle than in this beautiful bag? Easily accessible through its secure top zip closure, the bag has organizer pockets and a zippered pocket inside. 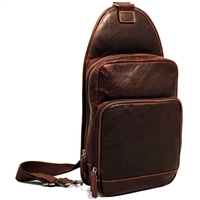 This multi-purpose bag can serve as a shoe carrier or an extra large toiletry bag. This casual crossbody bag is designed to fit today's active lifestyle. 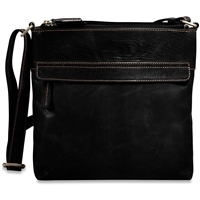 Enjoy a day of shopping, running errands, or traveling with your hands free with this slim, stylish crossbody bag. Keep your travel toiletries handsomely together within in the Voyager Fancy Dopp Kit. This crossbody offers space for files, folders, books, your mobile device, e-reader, tablet, notepads, charging cords, and power adapters. 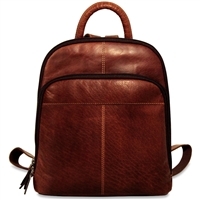 A streamlined shape and a contemporary design make this laptop messenger/backpack perfect for the professional on the go. 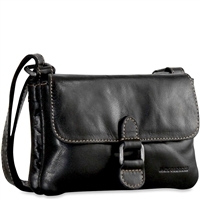 Carry your essentials from workday to weekend with this saddle bag in black from Jack Georges. 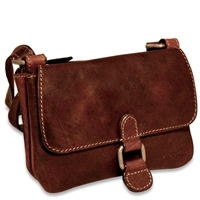 Carry your essentials from workday to weekend with this saddle bag from Jack Georges. The Voyager collection small backpack is made from hand-stained vegetable re-tanned buffalo leather. Designed to keep your essentials contained throughout your travels. Looking for a special Jack Georges Leather Voyager Bag? Please don't hesitate to contact us with any questions.